THE LISTED AVAILABLE OPTIONS ARE JUST SOME SUGGESTIONS. REMEMBER, THIS IS YOUR HOME - YOUR IDEAS - YOUR DREAMS - WE WILL WORK WITH YOU ON ANY AND ALL OPTIONS YOU MAY HAVE IN MIND. 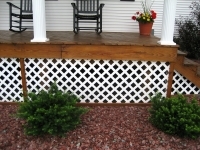 JUST LET US KNOW WHAT YOU WOULD LIKE AND WE WILL GIVE YOU A QUOTE. 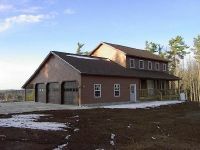 All disturbed soil 75' around a house that is located in an open field' or 50' around a house located on a wooded lot, or up to the property line, which ever distance is the least will be finished landscaped with existing soils and lawn seeded. A 3' wide crushed stone sidewalk will be installed to front entry and 16" around the perimeter of the foundation. Paved driveway. 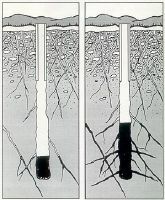 Recommended to wait for a winter season to pass for all settling to have occurred to prevent cracking in new pavement. 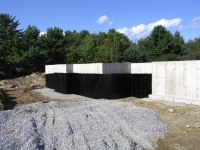 The septic system will be installed as per the engineered plans. In the event that changes to the plan are required the engineer will be notified and will inspect the proposed change prior to the change being executed. 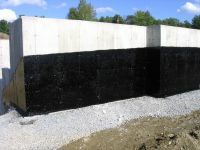 In the event that a community or municipal septic exists all hook-ups and necessary tanks and pumps will be installed as per engineered plans. Hydro fracture the well in order to obtain more water flow. 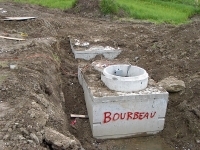 2500 PSI concrete in walls, footings and floors. Fiber mesh is added in the garage floor. 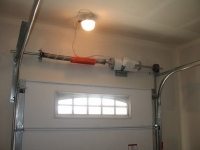 Up to two garage overhead door openers will be installed as needed. 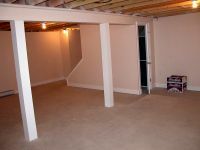 Entrance into basement from garage with a six panel solid door located at the bottom of the stairs. 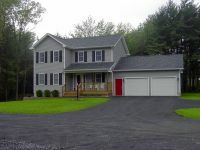 House plan will determine location or omition of entrance. 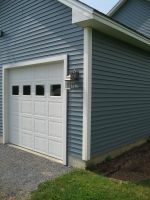 Garage floor will be sloped toward outside doors with no drain. 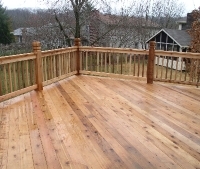 4"x4" Pt posts to support roof and Pt railing. Pt framing and deck boards. 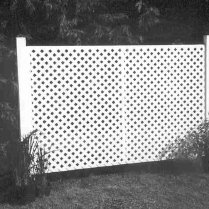 White vinyl lattice with a PT frame under deck framing if grade allows. 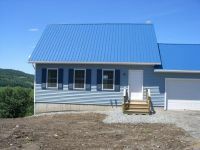 Vinyl D4 siding with louvered shutters on front and one side. 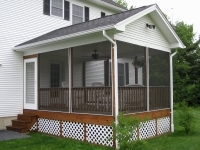 White vinyl soffit under eaves and porch ceiling. 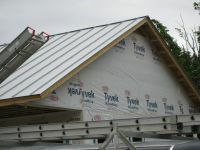 White aluminum covering all roof fascia and garage door frames. 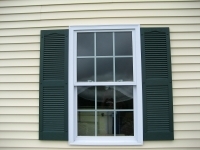 Extra 2 1/2" wide colored trim on doors and windows on back or other side of house. 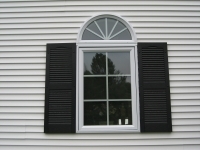 extra 3 1/2" wide white trim on back and other side of house. 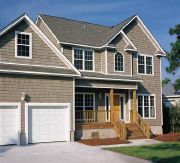 Shake style vinyl siding. 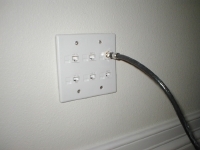 Can be installed in accent areas or on entire house. 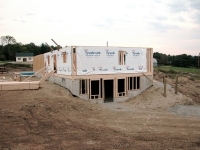 The main house exterior wall framing will be 2" x 6" x 8' precut studs spaced at 16" on center. 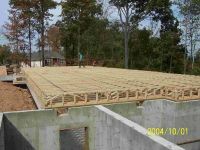 A center beam constructed of built up 2"x12" framing lumber will be installed in the basement under the floor joist system and will be supported by 4" round concrete filled columns spaced at approximately 8'-9' on center. 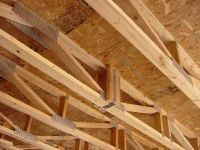 Attic storage or living space trusses over garage. 3/4" T&G Advantek brand osb floor sheathing installed in garage attic space. Fiberglass insulation will be covered with a poly moisture barrier on the interior side of the insulation. 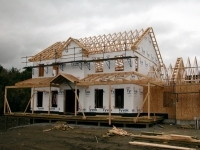 All air sealing and insulation details will meet the five star energy requirements. 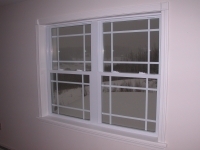 All white vinyl double hung window with Low-E and Argon gas. Colonial style grills in-between the glass are included. 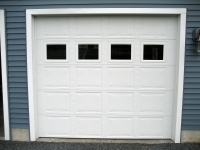 Thermatru solid six panel steel doors. 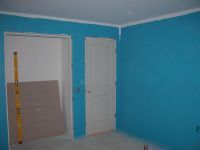 Interior of doors to finished living space are painted white and the exterior of the doors that lead outside will be painted to color of choice. Vinyl 6' wide sliding door with full glass and no grills leading out to back deck if floor plan allows for a sliding door. 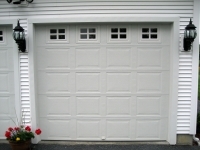 Thermatrue fiberglass wood grain doors. Also add for finishing kit and labor to finish. Brass finish Kwickset passage and privacy round door handles. Brass finish hinges and doorstops on all interior and exterior doors. Custom panel design in a solid core masonite door. 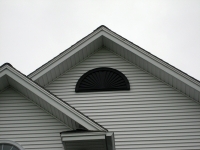 Arch top, circle top , 4 panel etc. are some of the options that are available. 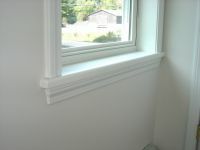 White painted 2 1/2" Colonial molding for window and door trim. Square corner blocks on window and door tops. 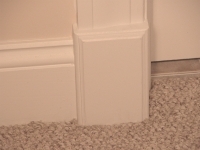 Inside and outside corner blocks in baseboard corners. Custom built window and door headers. 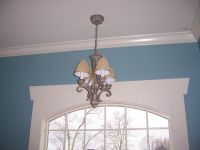 Ceilings are painted a ceiling white with a smooth finish. 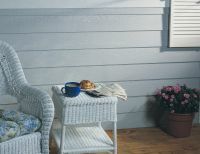 All other walls are painted a single neutral color to be chosen from the Sherwin Williams Interior White and Lites paint chart. Carpeted stairs with standard profile oak handrail and turned spindles. 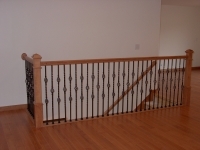 The amount of railing required will be determined by the final floor plan. Ceramic tile in all bathrooms and a section in front of the front door. Uniclix brand laminate flooring in the kitchen and dining area. 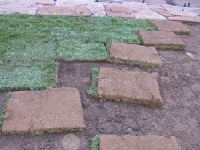 Berber or plush carpeting in all other living areas. Ceramic tile in kitchen or mudroom areas. 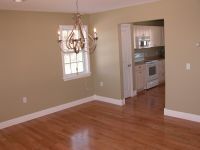 Hardwood flooring in living areas of your choice. 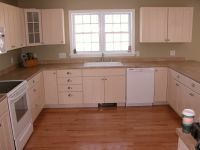 Custom square edge laminate countertops. Required option in angled kitchen layouts. Closet Stretchers wire closet shelving is standard. Hall and bedroom closets will have one 16" wide shelf and rod. Linen and pantry closets will have four 16" wide shelves. Master walk-in closet will have 2 walls with a two tier hanging rod and shelf and one wall with a 16" wide shelf and rod for hanging long clothes. Where applicable a shelf will be installed over the washer and dryer in the laundry room. Upgrade wire shelving to include pull out baskets, multiple shelving in walk-in closets or specialty storage units for shoes, tie and belts etc:. Solid white melamine finish shelving and storage systems. 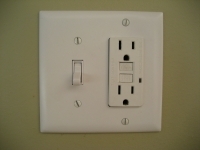 All appliances hook-ups will be for electric appliances. Raised platform with drawer for the dishwasher to add comfort in use. Lowered drop-in cook top countertop height to add comfort in use. 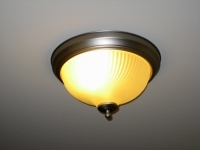 The 10 required energy efficient lighting fixtures are included along with two energy efficient Panasonic Whisper Quiet 110 cfm bath fans set on programmable timers to insure proper ventilation in your new home. 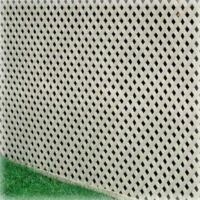 Detailed air sealing process that enables us to minimize air infiltration into your new home. 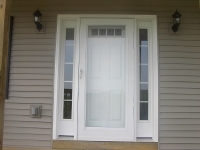 All new homes are blower door tested by Effiency Vermont to insure they meet the Five Star requirements. We also install energy efficient heating systems that will save in heating costs and qualify for your Five Star energy rating on your new home. Purchase all of your appliances energy star rated instead of the two minimum that are required for you to qualify for your rating. Whole house air to air exchanger that will change the air in your home up to five times a day and recapture at least 80% of the heat from the air being exhausted. Energy Efficient direct vent propane boiler with hot water baseboard heat. 70 gal hot water tank . This is a standard if the Whirlpool option is selected. Double insulated metal stove pipe for chimney to replace power vent. 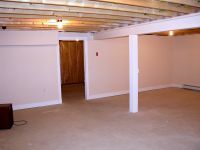 Hot water baseboard heat in basement. Hot air heating system combined with air conditioning ducting. 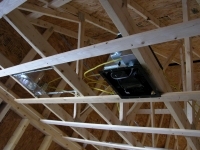 This system allows you to install whole house air filtration, dehumidifier and air conditioning on same duct work. Whole house air conditioning system complete with condenser units. Two frost free outside water faucets are included. The locations are to be chosen by owner. 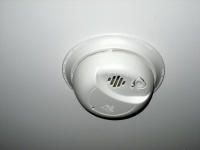 Water shut offs located at all appliances, sinks and toilets. White fiberglass 5' tub/shower combo in full baths. White fiberglass 4' stand-up shower with seats in master bath when whirlpool or soaking tub option is chosen. Toilets are standard white elongated seat toilets. In small areas a standard round seat toilet will be used. The kitchen sink will be a standard double bowl stainless steel sink. 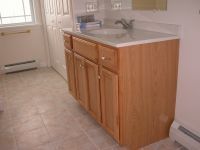 Bathroom sinks are listed and selected in the kitchen and bath category. Moen Chateau series single handle chrome faucets in all baths and kitchen. No security systems are included in our base contract. 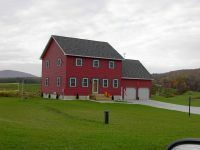 This list will be an ongoing list that can be created by you and should cover any design options that you would like in your new home that are not listed above. 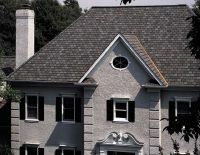 Rain gutters installed on some of the eaves or the entire house.